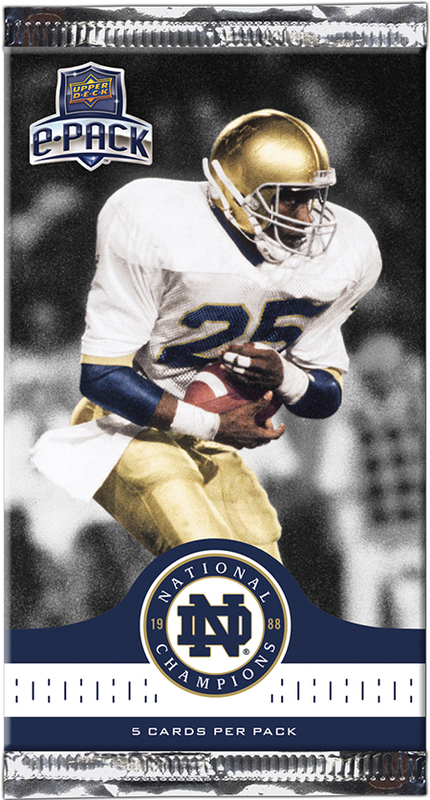 Upper Deck Pays Tribute to Undefeated 1988 Notre Dame Football Team with New Trading Card Set! CARLSBAD, Ca. (November 22, 2017) – – As part of Upper Deck’s exclusive deal with the University of Notre Dame, the leader in sports collectibles is pleased to announce a new trading card set that salutes the 1988 championship football season. The new product can be found on the patent-pending Upper Deck e-Pack™ platform this week that will allow Irish fans to “shake down the thunder” when they open packs from their computer, tablet or smartphone at UpperDeckePack.com. The 100-card set commemorates all the memorable moments from all 12 games of the flawless 1988 season. 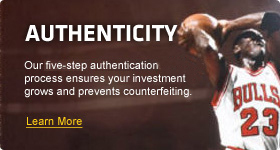 While base cards will only exist in the digital trading card environment, the exciting insert and parallel cards will have physical counterparts that customers can take ownership of for a nominal fee. Fighting Irish Signatures cards will likely be some of the most sought after cards in the set featuring autographs from players and coaches from that remarkable team. Collectors who put together complete sets within the product can earn rare physical achievement cards. There will be different degrees of difficulty in completing some of these achievements. With top achievement rewards consisting of dual and quad autograph cards, Fighting Irish fans will be racing to complete these sets. Upper Deck released the first comprehensive set of Notre Dame football cards in 2013, which featured renowned players and coaches dating all the way back to the 1920’s. This new set is the next evolution of Upper Deck’s agreement with Notre Dame. Irish eyes will be smiling when fans enjoy Upper Deck’s Notre Dame 1988 Champions set on UpperDeckePack.com this week! 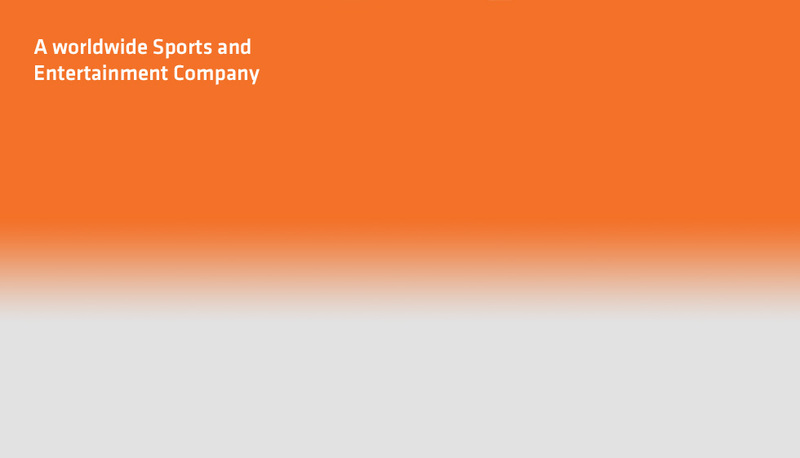 Upper Deck, headquartered in Carlsbad, Calif., is a worldwide sports and entertainment company built on the pillars of quality craftsmanship, authenticity and innovation with a dedication to creating products that turn memorable moments into collectibles. Upper Deck revolutionized the sports trading card experience with anti-counterfeit holograms, high quality card stock and stunning photography in its inaugural 1989 baseball set, and since then its mission has been to capture the excitement of the game and deliver it to fans of all ages. The company now creates a full line of exclusive memorabilia, gaming products, collectibles and a wide array of sports trading cards. Founded in 1842 by a priest of the Congregation of Holy Cross, Notre Dame is an independent, national Catholic research university located adjacent to the city of South Bend, Indiana. The Graduate School, established in 1918, encompasses 48 master’s and 26 doctoral degree programs in and among 30 University departments and institutes.